VIC-4DOTGNP Units: 50/pkg. Dimensions: 2" base x 1¼" wall This shade of green is more of an aqua-green. Grease proof baking cup. This shade of green is more of an aqua-green. 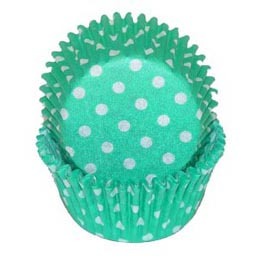 Grease proof baking cup.